The fourth Falcon (AMS-190) was launched 21 September 1953 by Quincy Adams Yacht Yard, Inc., Quincy, Mass. 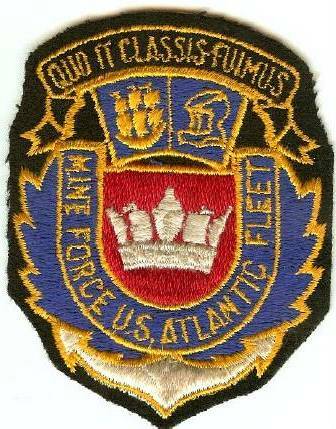 ; sponsored by Mrs. A. D. MacDonnell; and commissioned 24 November 1954, Lieutenant (junior grade) M. J. Schultz, Jr., in command. She was reclassified MSC-190 on 7 February 1955. Between 7 January 1955 and 16 January 1957, Falcon was based at Charleston, S.C., for minesweeping exercises, amphibious operations, and mine warfare development activities along the east coast and in the Caribbean. Little Creek, the amphibious base in the Norfolk, Va., naval complex, was her home port for similar operations until 12 February 1959, when she sailed for Rodman, C.Z. During 1960, she sailed out of Rodman for operations on both sides of the Panama Canal, and visits to Central American islands and ports.